Mumbai, May 22: No patient affected by Nipah virus which attacked people in Kerala, is found in Maharashtra. There is no need to panic. Still, if any symptoms of this ailment are observed, the patients should immediately contact the doctors, appealed State Public Health Minister Dr Dipak Sawant on Tuesday. Even if there are no patients of this ailment in the state, the private and government hospitals are alerted on this count. Instructions have been issued to Kasturba Hospital in Mumbai and all the major government hospital to start isolation ward, said Dr Sawant at a press conference at the Mantralaya today. Dr Sawant addressed a high-level meeting at Mantralaya in this regard today. The precautions to contain this disease were fixed in this meeting. Dr Sawant was addressing the press persons after the meeting. The meeting was attended by Principal Secretary of Public Health Department Dr Pradip Vyas, Commissioner of National Health Mission Dr Sanjivkumar, Director Health Dr Sanjiv Kamble, Member of infectious diseases controlling committee Dr Om Shrivastava, Additional Campaign Director Dr Satish Pawar and others. Dr Sawant said that directives to take preventive measures and treatment for this disease are being sent to all the hospitals and dispensaries in the state. The likely symptoms of Nipah viral disease are fever, body ache, headache, drowsiness, mental confusion, unconsciousness, etc. If anyone is found suffering with such symptoms, especially, anyone coming from Kerala, he should be immediately directed to visit the doctors at the nearest government hospital. Even if the private hospitals come across such patients they should immediately intimate the government hospital, the Minister said. Such patients should be admitted to the isolation ward specially set up for them in government hospitals, he appealed. No patient is found in the state suffering from this disease. But, as precautionary measures all the private and government hospitals, ZP CEOs, Municipal Commissioners, and District Surgeons are intimated to take preventive measures, Dr Sawant informed the media persons. He appealed to the people to avoid travelling to Kerala’s Kozikode and other places affected by this virus. 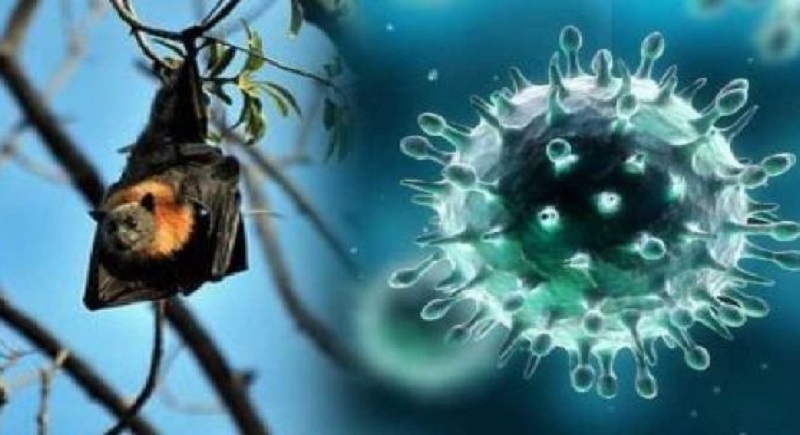 The Nipah virus is transmitted mainly from animals. The natural hosts of this virus are fruit bats, which may infect an intermediary that could be a plant, or an animal, consumption of shich spreads the disease among the humans. Those attending the patients including the health workers, and relatives etc. can be affected by this disease and therefore, such patients are to be kept in isolation. Doctors and other health workers should take all steps as per World Health Organization’s universal precautions. Avoid eating fruits fallen from trees in fields, or jungles or at other places, and keep the Nipah virus patients in isolation.